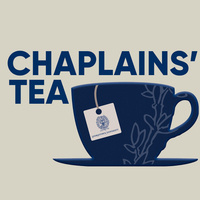 Join Campus Ministry's chaplains and staff and our guest, the Dept. of African American Studies as we honor Emancipation Day. We'll bring the tea and snacks, you bring the conversation. Immediately after, please join us for the Prayer for Peace and Justice at 3:50 p.m.